This would have to be my biggest packing challenge to date. Well, since I started seeing every trip as an opportunity to better myself in this game the experts call packing light. I need to be upfront with you from the outset, if you’re looking for a “how to pack for three weeks in Europe with only carry-on luggage”, you’ve come to the wrong place. I’m getting better at streamlining my clothing needs while travelling but I’ve not achieved that apparent holy grail. And I don’t ever aim to achieve that for any trip longer than a couple of nights. 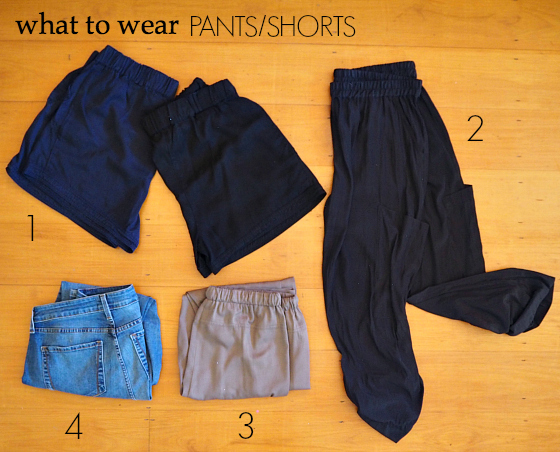 I followed all the tips I outlined in this post – 9 tips for packing clothes. Perhaps the most important of those nine tips has been tracking the weather at the various destinations in which we are spending our time. The weather in London (mid-summer) is actually the same as what we’re experiencing in winter in Queensland right now. Further north in Sheffield, it’s colder. Once we head to Paris and Puglia in southern Italy, it very much warms up to Queensland spring and summer temperatures. Therein lies the packing challenge. Having clothes I can layer up for the first week and then pare back for weeks two and three has been key to putting together this capsule travel wardrobe. Let’s get down the the nitty gritty, shall we? I’ve broken down what I’ve packed into categories and photographed them flatlay style. 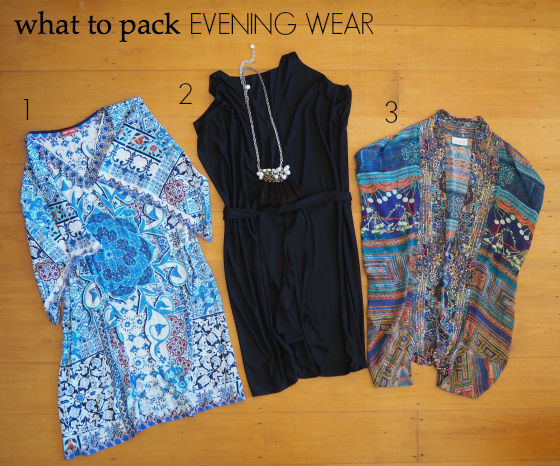 I’ve kept to another one of my nine packing tips – and that’s keeping the colour palette tight. This is purposeful so most things can be worn back with pretty much everything in the suitcase. 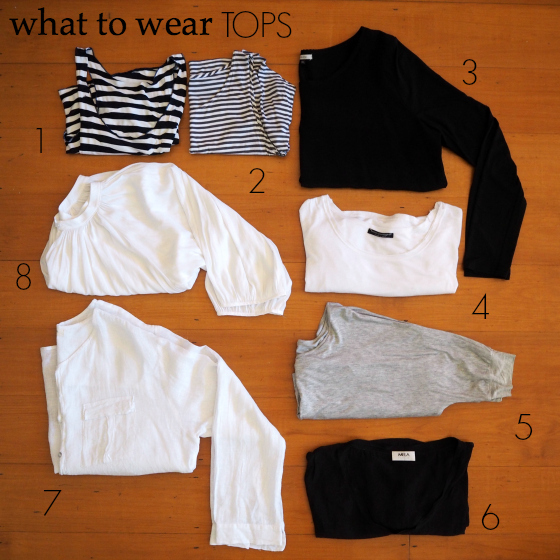 I haven’t done a flight this long in a very long time but I have used most of the ideas I shared in this post – what to wear on a long haul flight – with the addition of a jacket, change of top, a small cross-body bag for the essentials, and underwear (not pictured!). The thinking behind these tops, shirts and tees was that they would either serve me under a jacket in a jeans outfit in the UK but could be worn with shorts on their own or layered for sun protection in Italy. These shorts were my fave from last summer – I settled on two of my five pairs for this trip as navy and black won’t need washing as often and they work with all the tops I’ve packed. The jeans are for the UK leg and the lightweight pants will serve in the UK as well as cooler evenings on the rest of the trip. 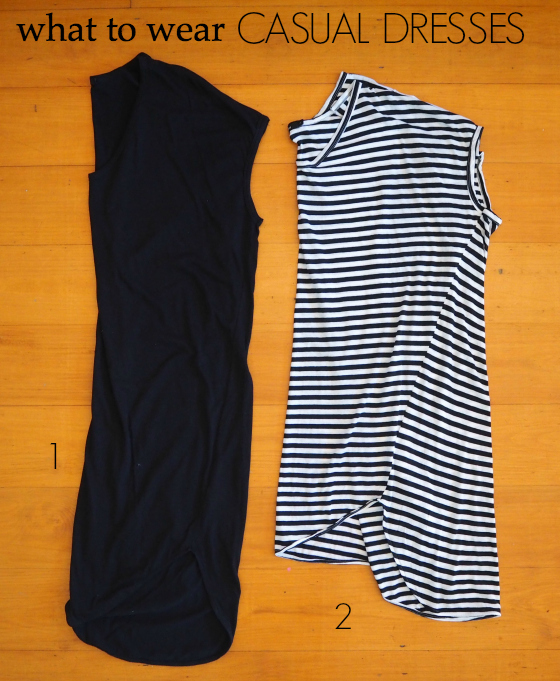 These were two of the three dresses I bought in this style last summer. They are amazing for throwing on over a swimsuit or dressing up with wedges for lunch out at a restaurant. The organic cotton jersey washes well and doesn’t need ironing – a win for life – and travelling. We already have a few nights planned where we’ll be out for dinner or the theatre and we’re having a photoshoot in Paris with the uber-fabulous Carla Coulson so I wanted to include versatile pieces that would work for those events plus any others that might happen. The Sacha Drake dress is perfect for London with wedges, leather jacket and a scarf. For a balmy Italian night it will work work loose with flats. The Camilla cape will work with this dress plus also with the jeans, shorts or pants I’ve packed. The Ruby Yaya kaftan tunic will be fabulous in Italy at any time of the day. It will also come out to play in Paris. Oui Oui. This cardi comes with a removable faux fur collar which I’m leaving at home – despite the UK temperatures being like our winter temps it will seem funny wearing it in summer. 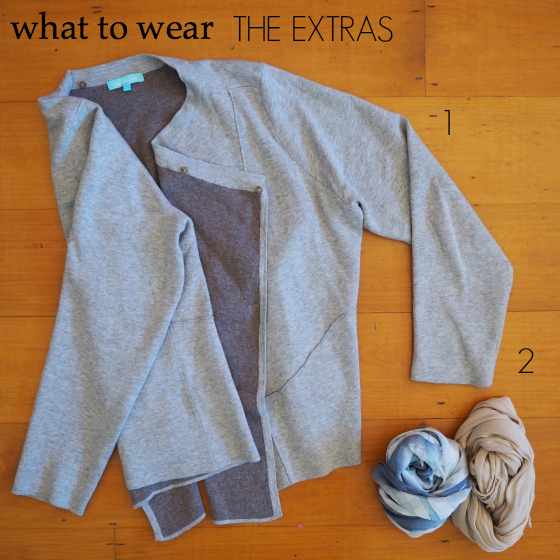 The cardi itself is a perfect weight and gives me a layering alternative to the leather jacket. The scarves (with the leopard print one I’m taking on board the plane) are my key accessories for this travel capsule. Apart from the Salita Matthew necklace pictured above, I plan to just wear my everyday fine jewellery, with maybe a bracelet or two. I’m very excited to be sharing with you a first sneak peek at two of the fabulous spring-summer 15-16 sandals from Frankie4 Footwear. Straps are thinner this year and there is a fabulous wedge – summer’s equivalent of this season’s hugely popular Liz boot. 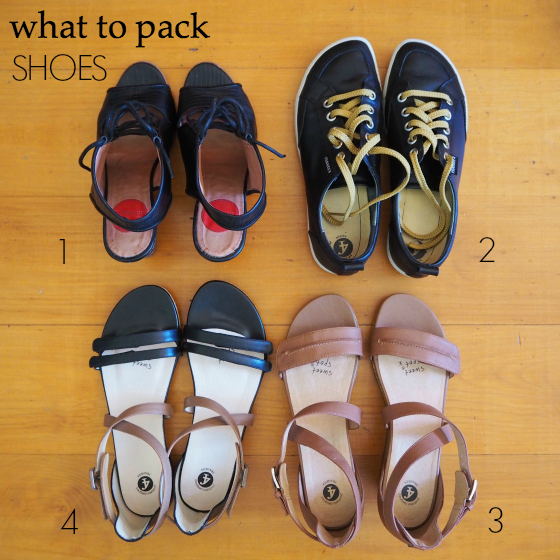 Travel shoes need to be comfortable and this selection will work for me across the three weeks for any occasion. Stay tuned for some outfit photos featuring these yet-to-be released styles and if you want to be first to know when they are available to buy (early September), sign up to the Frankie4 email at the bottom of the site’s home page. I’ve kept my beach options simple. I had planned on taking a one-piece as well but then I remembered where I was headed – Europe – where women have fewer issues about swimwear than we seem to. It’s much more practical to have a bikini on – you can throw anything over the top and be headed out to lunch in minutes. 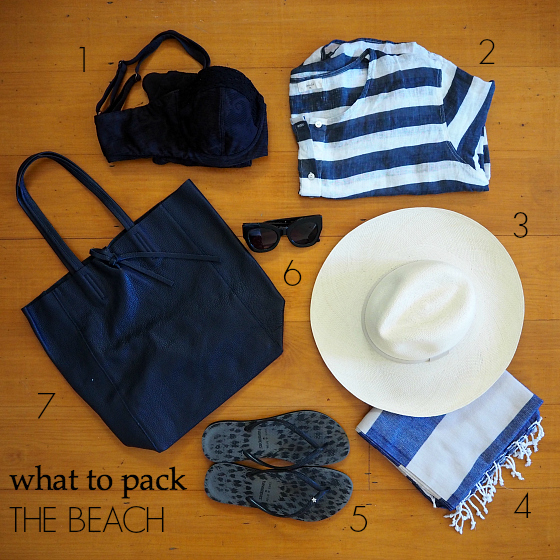 We’re taking Knotty Turkish towels as they’re quick drying and take up minimal suitcase space. The Sarah J Curtis hat is a new purchase – I’ll be packing it this way. The Estil tote is lightweight and foldable so can be stored in my suitcase but used for carrying our towels and sunscreen on day outings. Ok, so I don’t need as much active wear as I did for my health retreat visit in April but I do plan to do yoga via an app on my iPad and if we’re not having a big walking/sightseeing day, I’ll head out for a walk. I’m leaving the runners at home though – my Frankie4 sneakers will work just fine – and that gives me room to pack an extra pair of sandals. Priorities. Well, except for the essentials – underwear, a power board, universal adaptor, iPhone, iPad, laptop, head phones, books, magazines and beauty products! You can check out what I packed in the beauty “essentials” department here. Pre-trip beauty maintenance was another essential and really does cut down on maintenance while away. I booked a mani/pedi, brow shaping/tint and eyelash tint. Hair was also re-blonded the week before I left. The first test was in the weigh-in at the airport. My luggage came in at 17kg. The second and big test was in whether this travel capsule would go the distance. Here is how all these pieces came together while I was away for the three weeks. I’m very happy with the result. So tell me, what have I missed? Are you travelling soon? 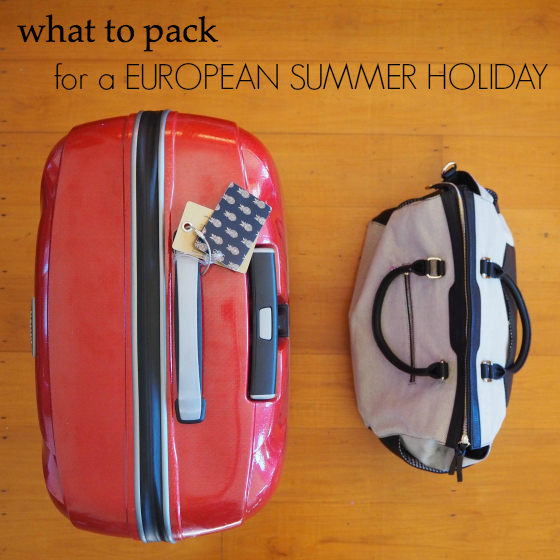 How’s your packing planning going? * These pieces were gifted to me for editorial consideration. Full disclosure policy here. Have revisited this one several times. Went away recently to Cairns and decided I always take too much but then found not enough. Even try to just take a carry on because I hate waiting for luggage. I love that carry on you used. Currently looking for something similar that can stand up on its own. Hare bate that collapse when you put them down. Any good totes around? I also have so much trouble restricting my skin and hair products. Think that bag is heavier than my clothes. Lol. This bag stands on its own when packed Elizabeth. Ah Nikki, I had to come back to this post to find out about your fabulous hat!! I have realised that I do indeed have something similar in my front hall, with a larger brim. If I feel the need for a glamorous hat that would fit in a case I will know where to shop!! I do love your packing advice! We go minimal, or at least try to – and use 2 cases for the 4 of us if possible. Last big trip included Bangkok, the Arctic Circle, England and Florida in Winter – that was hard packing!! You are a packing genius!! 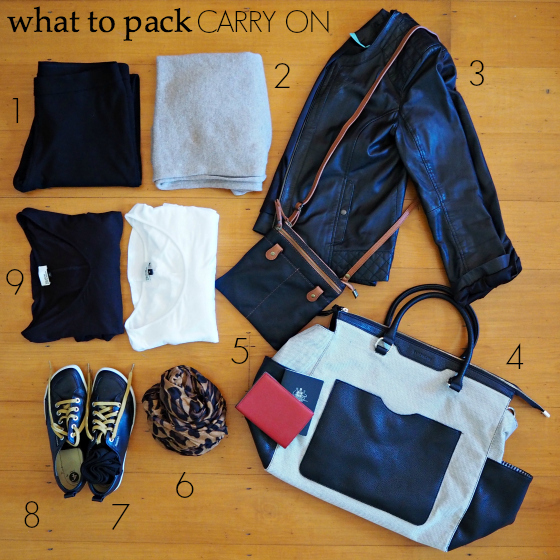 Some great advice Nikki and so good to read advice from someone who doesn’t think that carry on is the only way to go, I’m currently in Italy and started a blog to keep a record of what I packed and what I wore. Just a word on the Frankie 4 sneakers. I wore them yesterday on the Amalfi Coast and found they were just too hot. Although as my feet kept swelling I could at least take out the inner soles. Hi Judith – I only wore Frankie4 sandals in Italy – the sneakers got lots of wear in UK though! Comprehensive and yet really only the essentials!!!! But gosh how I wish I knew what is in your beauty case/toiletries, and are these packed into the luggage or a separate case? I’m doing that today before I go and I might pop a video up Sophie. They’ll go in my main case except for what I take on board for the flight. So excited for you Nikki that you’ll soon be in London! It’s not really THAT cold here at the moment, but I guess it’s relative to where you’re flying in from! Thank you for this post ~ so useful for me. We travel from London to Bogota every year to see my other half’s family & I always have the cool weather vs hot weather vs dressy clothes for weddings/christenings packing conundrum. Being high in the Andes, Bogota is known as ‘the fridge’ by the rest of Colombia (it’s still warmer that most UK days mind you!) so I need jeans, jumpers etc, then we’re usually lucky enough to to take a trip up to the coast so suddenly I need swimwear & shorts. Not good on the packing front when you also have half a suitcase of presents to take with you! Great tips Nikki which I will be following as you post during your holiday. Are you for or against socks with your Ellie sneakers? I’m not for or against – I just prefer to wear them without for me. They breathe too. If I were wearing socks, I’d take out the custom foot bed to allow more room for my feet. Regarding on the plane nasty toilets – I save unused hotel slippers and take on board in my carry on luggage for long haul flights use on board and then discard. I take other packs for the remaining long haul flights in my check in luggage. works very well….i don this regardles sof whetehr I am in business class for work or economy for play…….v easy to slip on an off in the dark as well…especially if you have boarded the flight with say winter boots…. That’s a very good tip KD! Thanks Bec – and yes you would get a lot of wear out of those sandals! And if I shop in Milan on our last day I won’t have luggage restrictions at all! Let’s see how it pans out at the end of the trip 😉 Fingers crossed I’ve got all bases covered. I may do a video on those as I pack them tomorrow – no time yesterday – and I want to reduce them down! Woohoo! That would be brilliant! Oh she is that and more Angie … can’t wait to spend the afternoon with her! Hahaha, that’s why I’m only taking one set. I will do yoga though otherwise my old hips will seize up! It’s a good formula I think and thanks! Great tips – thanks for sharing – I’m across most of them! Have opted out of the maxi dress this time though in favour of shorter dresses but they’re still do-able with flats. And could not live without cubes any more! Nikki, I won’t ask which airline you are flying with but if you have a stopover in Dubai I know where you can have a shower at the airport (towel and toiletries supplied for about A$15). Hi Anne – flying through Singapore but we have lounge access so hoping for a shower in the morning! Fantastic packing. It is definitely something I am much better these days and it really does prove when you have purchased the right items because everything works together. Given I have lived in my Frankie4 JAMiE boots since they arrived in April, I am VERY excited about seeing those sandals. The shoes are a very important part of that too. If all shoes packed are comfortable then they’ll all be used. These are just two of the new-season Frankie4s that I’m in love with – so much to come when the range launches for spring! Stay tuned. Definitely! I was just laughing with a friend who had 7 pairs of shoes for a week away. I said 4 maximum and that included workout shoes – mainly because I generally ditch the heels and go with flat sandals for summer/boots in Winter. Have a great trip! Great packing !! Wish I was going to the UK to see my mum !! However off on a cruise during the school holidays !! Have a fabulous time in Europe !! You enjoy your holiday Yvonne – my brothers and I will be together for the fist time in 6 years! I love everything about this post, especially the part where I can actually take these tips on board. Off to London & Paris in 2-3 weeks. So exciting. This holiday I have gone one better than normal holidays – I have downloaded an app called Stylebook uploaded pictures of all the clothes that I wanted to take – easy to edit backgrounds out in the app, and it has become my packing list and my look-book for our upcoming 3 weeks in Japan and Hong Kong. It has even made me cull a few “nice to have’s” as I realised I would never wear them whilst away. It also meant that all my holiday clothes have been packed away for at least a week (so no last minute washing) although I now get to make sure son and hubby pack everything. The one additional thing I would suggest for your trip would be a lightweight raincoat as the UK can be warmish but still wet this time of year and it won’t take up much space. Yes, I do need to either pack an umbrella or raincoat – made a note of that this morning! The app sounds great. Kathmandu are having a 50% Off sale for travel umbrella’s. Or just get them in the UK. They have great range and much cheaper than here as it is a daily necessity. Dani, that app looks great. Waiting for the android version. We were in the US about that time three years ago Linda – it was hot that’s for sure, which will make it easier for packing as you won’t need the extras! Wow – good job. I am completely hopeless at packing – with the main things its not too bad it is the “oh I will just pop this in, oh and this and this and this and so on”! I hope you have a fabulous holiday and safe travels!! Reading with great interest, as we have 8 weeks to go until we fly out to Stockholm. I’m expecting our itinerary (and the timing) will mean I need a coat, jumper and boots rather than shorts and sandals! Just one suggestion from me, Nikki, I’d throw in a pair of leggings. Given they take up next to no space, they’ll give a little bit more warmth under the dresses and add to the versatility of those items. Have a great trip and keep safe! I love your wardrobe. The neutrals are gorgeous. We are heading away in a week to – Denmark and Croatia. Denmark is currently still quite cool. We are also heading to a black tie wedding there. I have actually given in and am planning to pack some quite warm gear and post it home (along with out black tie outfits!) prior to Croatia. 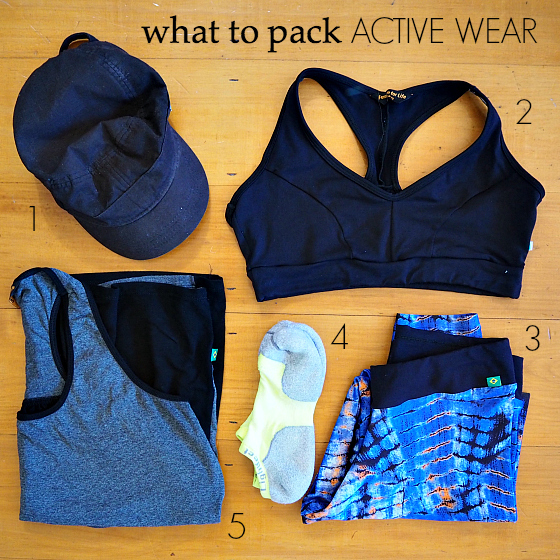 Your packing list looks spot on and sticking with neutrals is always the best option. I tend to hand wash small articles while on the go and find a smallish microfibre towel very handy for rolling up the garment to soak up excess water, then hang to dry. I have been adding to my traveling stash and purchasing a heap of Metalicus. Hopefully this brand will remove the angst I feel while planning/packing. Leaving soon for a week of yoga , swimming, massages and organic food in the rice fields of Ubud, packing is lightweight and easy. I will not know myself. The most weight will be my chargers for ieverythings…!!! I am taking on all your tips for a big trip in Sept to US….but that will involve shopping so will need to make space in my suitcase. How fabulous this trip will be, I am a huge fan of Carla Coulson’s, what a brilliant idea to have a photo shoot with her, I await the pics. Bon Voyage, to your good health and travels, what an amazing time it’s been for you and more to come. As daggy as it is, looks like you will need a day pack. Perhaps mr SY can take it? It just always seems that we needs HEAPS of stuff just for a day around town when we are away. thanks lovely! … clapping and impressed to say the least! but have to ask, is there a spare case for items purchased overseas? I thought you would take your black traveling skuffs … sending you a pic of two lovelies in an airport! we are going to q at the end of july til sept! yay! I’m a bit like that too Cheryl but we are staying with family at the end of our first week so I can wash then and then hope we find a laundromat when in Italy! I think you’ve done very well, its very streamlined and defintly still a capsule holiday wardrobe! Great idea – and I just found a paid in my cupboard too!